Smokehouse allows to create healthy great meat, fishes and cheeses. Smoking food is not only delicious but is more durable than this from shops and not contains any of preservatives. 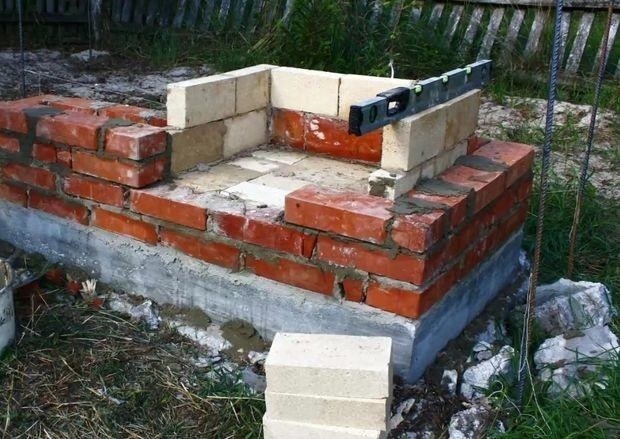 If You have a garden You can make own smokehouse which could be also grill or, as in my case, bread oven. It's really not so hard, as You can see on the stop motion video attached to this how to. You have to make reinforced foundations. 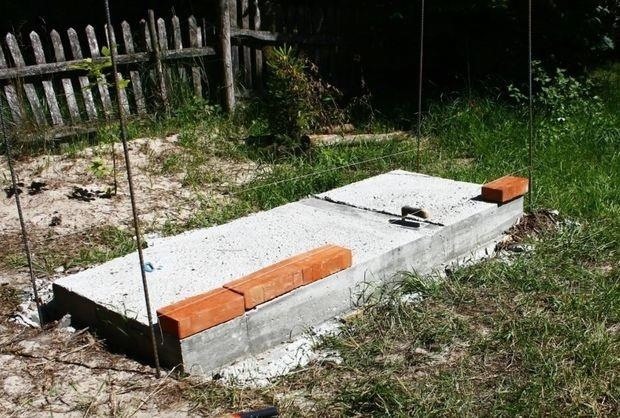 The whole construction will be quite heavy, so the foundations should be at least 30-35 cm deep. Reinforcement could be made from normal 10-12mm diameter steel. 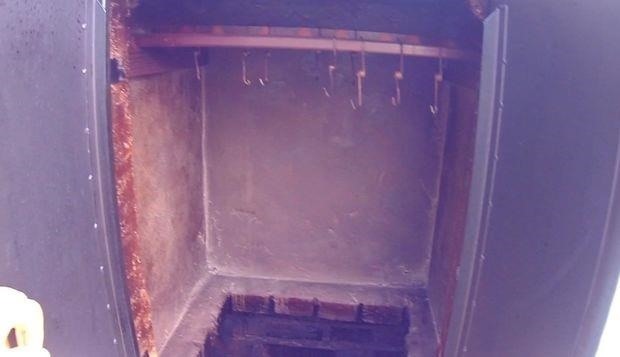 Walls of the smokehouse should be made from materials which don't accumulate the heat. In other case, further smoked will become to dry and to burnt. It will be also impossible to achieve the low temperature of the smoke. Pizza/bread oven's hearth have to be made from different material. This time, material have to accumulate the heat. It could be clay, clay brick or (as in my case) special fireclay brick. Keep in mind that such bricks requires also special mortar which is fire resistant. Bricklaying isn't the complicated process and You could not bother small details, since the whole construction will be plastered later on. 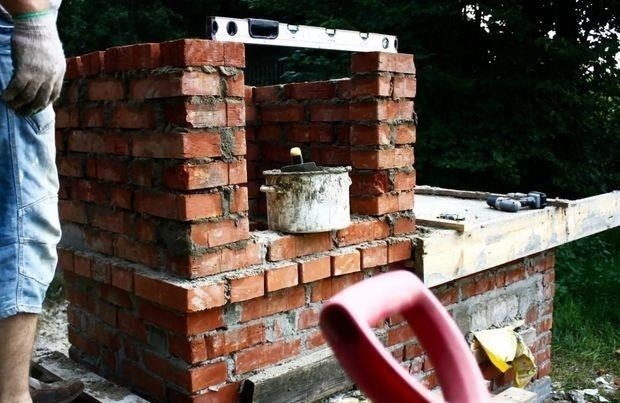 Chimneys can be made from dedicated metal tubes, but You can make them using the bricks. One thing to remember - chimney for smoking chamber should have 'enough diameter' to make good air flow. The smoke from fire should flow through the smoked food. I've created additional cornice between hearths and smoking chambers. As You can see cornice is made from bricks in smokehouse part, and from concrete in pizza oven''s part. This is because in pizza oven's part cornice is also the last layer-the top. So I've made boarding which includes cornice, reinforcement and cover all of it with concrete. Hangers for meat have to be removable. I've created them from wooden sticks. It's important to use leafy tree for such sticks. As I said it's not so hard. You should only have some bricklaying skills or, as I did, read about it on the internet ;-) There are plenty of tutorials about this topic. I encourage You to build the smokehosue because the smoked meets, fishses and cheeses are really tasty. The whole project cost about 430-450 USD. Turn Veggies into Noodles: Which Spiralizer Is Right for You?